WALKSTRONG ~ www.walkstrong.ca: " Life In Color ... "
" Life In Color ... "
Today the festival of “Holi” is being celebrating by Hindu’s around the world. Dating back to the 11th century, Holi falls around the first day of spring in the Western world and comes from the word “hola” which means to offer oblation or prayer, giving thanks for a good harvest. One story originates from the devotee named Prahlad, who endured many trials to maintain his faith and reach a higher level of love. Prahlad worshipped the Divine in the form of Lord Vishnu but this wasn’t easy because his father was the king of demons. Hence his father persecuted by giving him poison, ordering elephants to trample him, and placed him with poisonous serpents ... each time the Divine protected him. Finally, his father ordered Prahlad to sit on a burning pyre on his sister Holika’s lap and even though his sister burned to ashes, Prahlad was once again protected. In this story, Holi was named after Holika’s name. Another legend associated with Holi is the story of Lord Shiva and Kama, the God of love and desire. The people sought the help of Kama to make Shiva and Parvathi marry and bear a child. It seemed that a seven day old child from them could stop the powerful demon from destroying the earth. 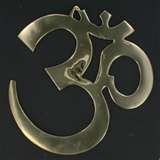 And the in depth story continues representing releasing lower desires for the desire of Divine love. 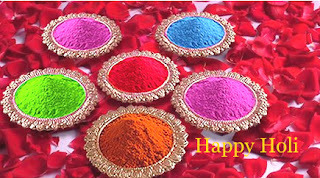 Most people know very little surrounding the above connection to Holi as they just celebrate with natural colours. These colors of Holi signify renewal and were traditionally made from herbs and roots with medicinal value such as turmeric, beetroot and its juice, henna and other natural plants. Thrown from rooftops and in crowded squares, these colours and this festival transcends classes and caste. Families also have bonfires to represent the burning away of the dullness of winter, the triumph of good over evil and sensual values over spiritual ones, connecting to the spiritual significance.
" Basket Of Eggs ... "
" Tell them a story ... "
" St. Patrick's day ... "
" Full Pull ... "
" Maha Shivratri ... "
" Another Year Has Gone By ... "
" Gotta Serve Somebody ... "